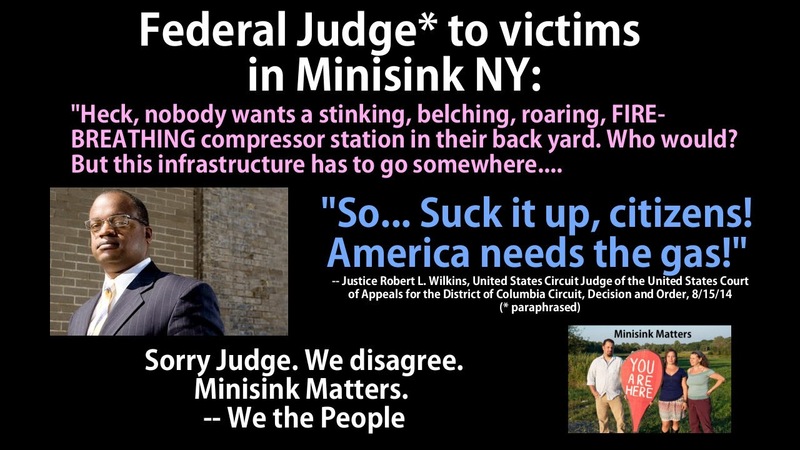 BillHustonBlog: Federal Judge who wrote Minisink opinion is invested in... FRACKING & PIPELINE COMPANIES! Federal Judge who wrote Minisink opinion is invested in... FRACKING & PIPELINE COMPANIES! so there is likely much more investment in energy than is immediately apparent. (* I have no proof that Judge Wilkins owns an Escalade-- it's just an obvious symbol for conspicuous consumption, seeking happiness through wealth accumulation, greed without caring for the victims created as a result of the action). UPDATE: I am sorry, I do not mean to judge the judge: Robert L. Wilkins. I do not mean to create greater alienation. I would love to see come reconcilation. and all of the affected families. visit the BLACK DIRT region of NY. it is a place where food is grown for many people. come and meet my friends. I do public service work: Blogging/Research in several topic areas (Technical/Legal, Fracking, Pipelines, Compressor Stations, Storage, CNG/LNG), I make maps, and I do non-commercial Video Work. Mr. Huston, I am wonderdering if the judges ruling could be overturned if Pimco had investments in Millennium or it's subsidiaries DTE Energy, NiSource,or National Grid? Thanks for sharing this information. It means a lot to many people. I don't know, Sandie. Need a lawyer I'd say. I know that Judges are very protected with legal immunity. Tt's possible remove or punish a judge, but it's rare. There is guidance that judges should "appear" to be without financial bias, and disclose, which he did. But it's all voluntary, discretionary. It seems he should have recused himself, but didn't. I'm sure if you dug into his financials, you'd find MUCH more connection to O+G investments. This was just from a casual glance. They will probably react by getting shiftier about hiding the contents of these private equity funds. There is already much that is hidden on these disclosure forms. 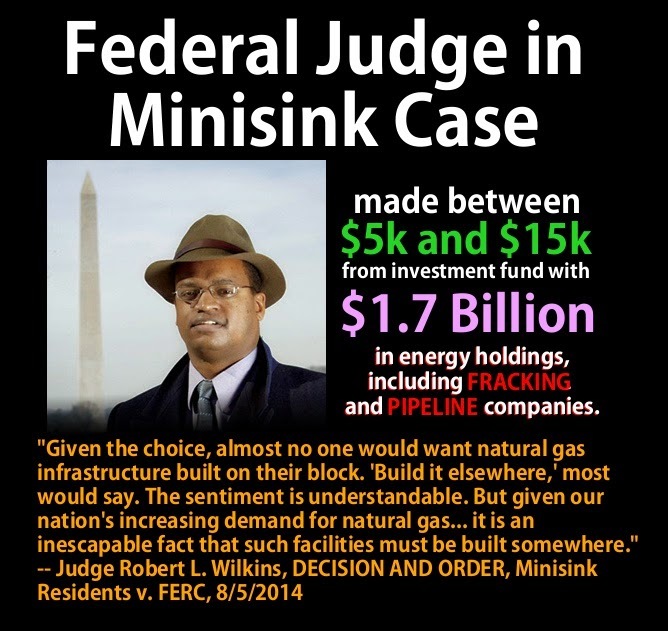 But the way it looks to me is these federal judges are broadly invested in the general business community. They get big cash dividends each year-- I'd estimate between $5k-20k/year for a junior judge, or it could be in the millions per year for a senior judge. These dividends and IRAs are like encouragement to judges to grow ALL businesses! Mining, energy, trucking, factory farms, big box stores, pipelines, highways... whatever baby. Make it grow, and you get a check. It's easy to understand. This results IMO as a general pro-business bias of the federal courts. I think Judges should be paid from a federal pension, and be PROHIBITED from having ANY private investments. Please help support my public-interest research, video work. Thanks! Was Bill Cosby "taken out" by Kinder Morgan? Cabot Oil and Gas: Cease and Desist!